Data grids have been one of the most common visual software elements since the advent of UIs themselves. They provide a powerful and flexible way to display data in a tabular format. Whether you're building an app to track manufacturing stats or analyze financial data, Wijmo's FlexGrid, will provide the best data grid UX with outstanding performance. In another post, we discuss what makes data grids so useful as UI elements and why Flexgrid is the best React data grid. Other tutorials discuss how to build a React data grid in minutes, and how to build a Vue data grid. You can see the FlexGrid in action and learn more about it using our Learn Wijmo application. You can get your copy from NPM, from our CDN, or you can download it from our site. To demonstrate this, we'll use the implementation of a simple application called "2019 Sedans" using Angular. 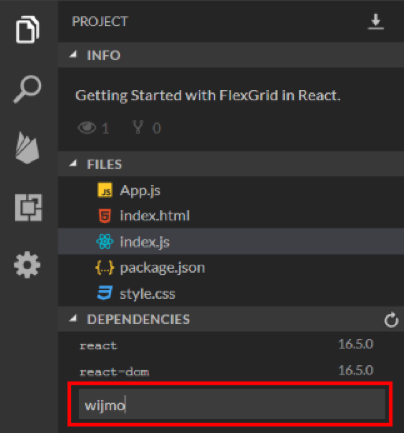 The purpose is not to compare the frameworks, but to show how FlexGrid and the other Wijmo controls easily and seamlessly integrate with whatever framework you choose. Let's put FlexGrid to work, building a customizable Angular data grid in minutes. 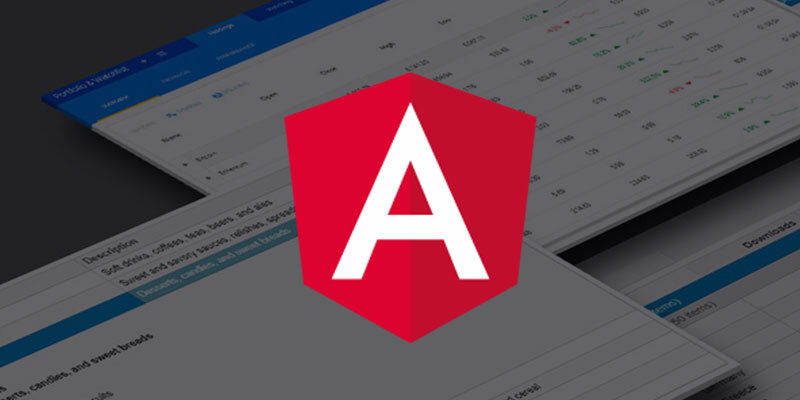 The app will use Angular's HttpClient module to load the JSON data asynchronously, and FlexGrid and FlexGridFilter modules to show and filter the data. The first line imports a Wijmo CSS file. We chose the material theme for this sample, one of several included with Wijmo. The constructor uses Angular's HttpClient to load the data from the data store asynchronously. When the data arrives, it is assigned to the CollectionView's sourceCollection property and becomes available to the application. The header is followed by the "wj-flex-grid" element which initializes the grid's properties, including the itemsSource, the columns to display, and their properties. 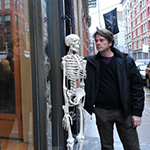 The column properties include the binding, header, format, and width for each column. Note that the aggregate property on the price column causes the grid to show the average price for each make in the group headers. The "wj-flex-grid" element contains a "wj-flex-grid-filter" element which adds the column filter, so users may filter the grid data by model and by price.